You’re trying to operate your hotel, and now you are faced with cleanup and restoration of flood damage on lower floors, or of catastrophic fire damage of several units between firewalls, or of major mold growth spread between walls throughout a large section of rooms. The pressure is on to get the rooms reopened for guests and to prevent greater property damage or destruction. Our team of experts at Utah Flood Cleanup are well experienced in disaster cleanup and restoration of guest rooms, restaurants, laundries, conference rooms, atriums, hallways, and all hotel areas and facilities. We will isolate affected areas, so that you and your staff can continue hotel operations in all safe spaces of the business. 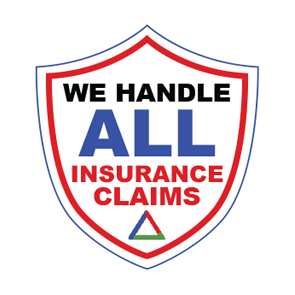 And, we will return the damaged areas of your property to full functioning as quickly and efficiently as possible without sacrificing quality workmanship. A fire at your hotel can result in devastating losses. And, smoke and fire damage can leave your building(s) too dangerous to enter afterward. Our professionals have the necessary knowledge, training and experience to conduct inspection of your property damage and to complete your property restoration. Focus on safety first. — After a fire, safety must be the first priority. Depending on the severity of the fire, your building’s structure, including ceiling, walls, and possibly even the foundation may have been weakened. 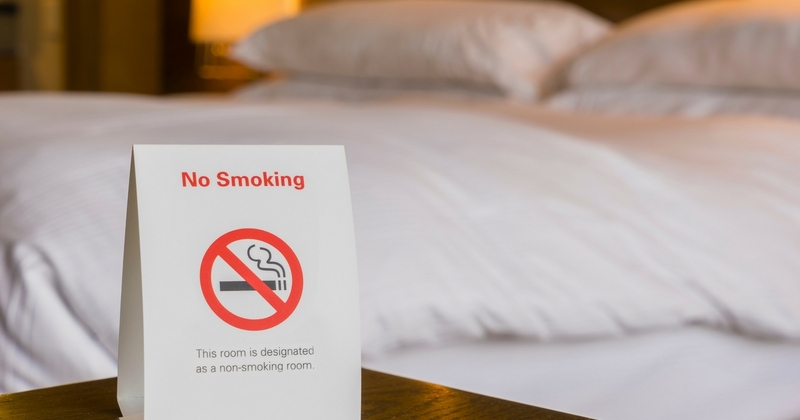 After you have been advised that reentry into your hotel is permitted, it’s time to quickly determine whether or not you will need to call a professional for fire damage cleanup and restoration. Extensive damage from soot, ash, and smoke do require professional rehabilitation to eliminate all traces of fire damage. Check for water damage. — Because a building fire is usually extinguished with water, it is likely that there is water damage to the property. This means that your hotel will probably need both fire and water damage clean up and repair. Any residual water in carpets must be removed immediately, to avoid mold growth and the health hazard that it presents. Covering a damaged roof with tarps, to keep rain out. At Utah Flood Cleanup, our fire and smoke damage restoration services will restore your hotel to its previous condition as quickly as possible, and with as little disruption to your daily business activities as possible. Whether due to major regional flooding, or to a roof leak, or plumbing leak, water can cause major property damage, loss of current guest traffic, and loss of future opportunities for business from would-be current guests who must seek competitors’ accommodations. This is all in addition to structural damage, and serious health consequences that ultimately can result from mold growth due to even brief delays in the necessary cleanup and restoration work, and various other health and safety hazards that may be present. Cleanup and restoration processes — The Utah Flood Cleanup team uses state-of-the-art damage restoration technology, including the latest innovations in restorative materials and advanced treatment techniques, and thermal imaging to locate all damage and make repairs as efficiently as possible. 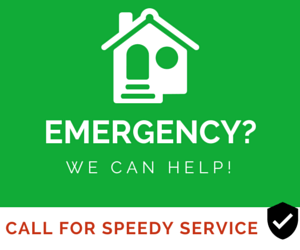 Acting quickly can save your property — Utah Flood Cleanup professionals move swiftly to apply advanced solutions for preventing greater damage to your property and to minimize the impact to your daily hospitality operations while cleanup and restoration is underway. Mold is naturally occurring in the environment. It consists of organisms that flourish on moist surfaces. Mold is necessary to help break down substances so that nature can reuse the nutrients. But, when mold starts growing inside your hotel, it can damage your property and become a serious health threat. Be aware of causes of mold. — Mold thrives on moist wood, paper, carpeting, cloth, and food, among other things. The mold may develop after a flood or a plumbing leak. But, it spreads by its airborne spores. Know where mold occurs. — Mold grows on damp organic substances. In rooms that have sustained water damage, the mold may develop on ceilings, floors, carpets, upholstery, cardboard boxes, clothing, and a wide variety of other materials commonly found in storage areas. Dangers of mold — Mold inside your building can cause or contribute to numerous health problems. Infants and individuals with allergies are at increased risk of health reactions to mold. Some symptoms of health effects from exposure to mold include coughing, nasal or throat irritation, lung problems, and itching eyes. Removing mold can be difficult. — Typically, mold requires professional treatment to successfully eliminate all spores. Our Utah mold specialists have the professional equipment and tools necessary to succeed with mold solutions. We ensure complete removal of mold, so that mold regrowth does not occur. Hidden moisture after flood clean up — Residual moisture left undetected can damage your hotel’s insulation, flooring and underlayment, drywall, tiling, and even structural supports. A common misconception after flooding is that because walls and carpets feel dry, what’s behind or under them must also be dry. But, typically carpets dry before any other building materials do. And, moisture often hides behind walls (and above ceilings). The only accurate way to determine if an area is actually dry is by using moisture meters. First, a visual inspection to locate mold growth will be performed. Testing will be conducted to confirm the kind and extent of mold growth. All contaminated surfaces will be disinfected, and all materials that cannot be successfully treated will be removed. HEPA air filtration may be implemented to keep air free from mold spores. Finally, re-inspection of the area will be performed, to confirm that no traces of mold have been missed. Mold testing must be accurate. — Utah Flood Cleanup mold removal and remediation experts have the knowledge and experience to detect mold anywhere in your hotel. We provide you with laboratory results and reports on the remediation work. Qualified professionals can provide reliable treatment. — Our professionals are licensed and certified to perform high-quality services elimination of mold problems. We use safe and effective methods to ensure that your mold problem is completely eliminated and that further problems do not occur. If you have discovered mold in your building(s), we can help you eliminate it from your property and return your hotel to the healthy, comfortable environment you want for your guests, staff, and yourself. 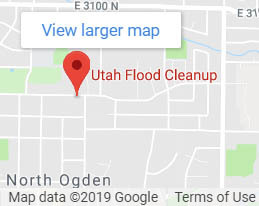 If you need more information about disaster cleanup for your hotel, or to make an appointment for a free inspection, call Utah Flood Cleanup at (801) 416-2666 to speak to one of our experts. We have been serving our customers in Ogden, Salt Lake City, Provo, Layton, Bountiful, Park City, Brigham City, Sandy, Roy, South Jordan, Tooele, and throughout the state with the highest quality of Utah disaster cleanup services since 1992.